Tieck was born in Berlin, the son of a rope-maker. His siblings were the sculptor Christian Friedrich Tieck and the poet Sophie Tieck. He was educated at the Friedrichswerdersche Gymnasium, where he learned Greek and Latin, like most preparatory schools required. He also began learning Italian at a very young age from a grenadier he became acquainted with. Through this friendship, Tieck was given a firsthand look at the poor, which could be linked to his work as a Romanticist. Later, he attended the universities of Halle, Göttingen and Erlangen. At Göttingen, he studied Shakespeare and Elizabethan drama. Tieck's transition to Romanticism is seen in the series of plays and stories published under the title Volksmärchen von Peter Lebrecht (3 vols., 1797), a collection which contains the fairy-tale Der blonde Eckbert, which blends exploration of the paranoiac mind with the realm of the supernatural, and the witty dramatic satire on Berlin literary taste, Der gestiefelte Kater. With his school and college friend Wilhelm Heinrich Wackenroder (1773–1798), he planned the novel Franz Sternbalds Wanderungen (vols. i–ii. 1798), which, with Wackenroder's Herzensergiessungen (1798), was the first expression of the romantic enthusiasm for old German art. In 1798 Tieck married and in the following year settled in Jena, where he, the two brothers August and Friedrich Schlegel and Novalis were the leaders of the new Romantic school. 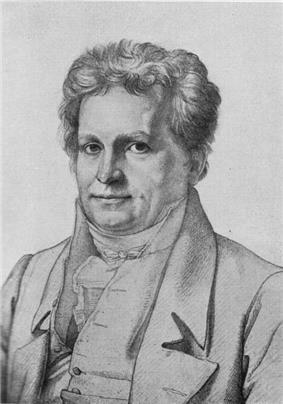 His writings between 1798 and 1804 include the satirical drama, Prinz Zerbino (1799), and Romantische Dichtungen (2 vols., 1799–1800). The latter contains Tieck's most ambitious dramatic poems, Leben und Tod der heiligen Genoveva, Leben und Tod des kleinen Rotkäppchens, which were followed in 1804 by the "comedy" in two parts, Kaiser Oktavianus. These dramas are typical plays of the first Romantic school; although formless, and destitute of dramatic qualities, they show the influence of both Calderón and Shakespeare. Kaiser Oktavianus is a poetic glorification of the Middle Ages.